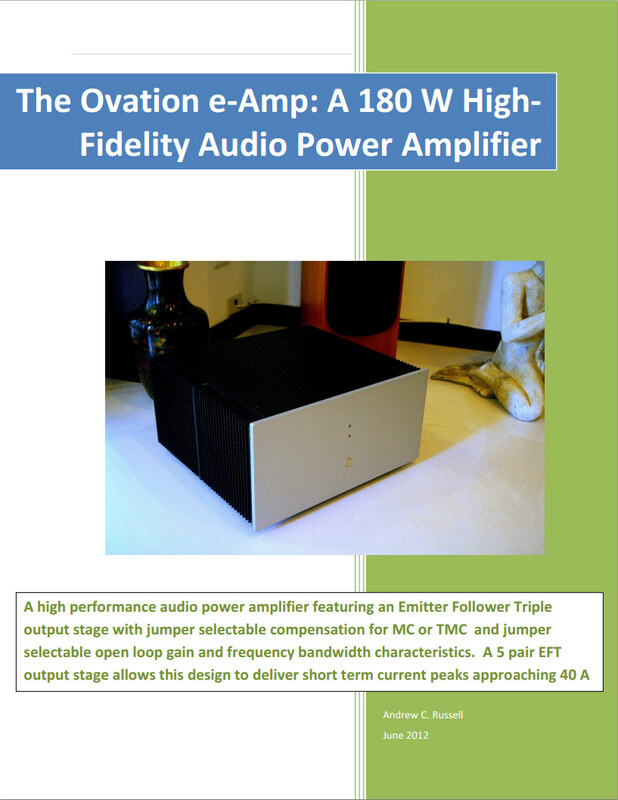 A nice amplifier – by Mr. Andrew C. Russell. Fairly fresh design – as of June 2012. The interesting thing about this document – it is painfully detailed in explaining how this device is constructed. If you have the guts to read it in full – a very enlightening piece of reading indeed. It is also interesting to look a at the THD specifications, as well as the “other” technical parameters of this device. Intriguing ? Well, obviously, some advanced design concepts and topologies have been used so as to achieve such level of performance. A good read – even if you are not bold enough to BUILD it – at least READ it.